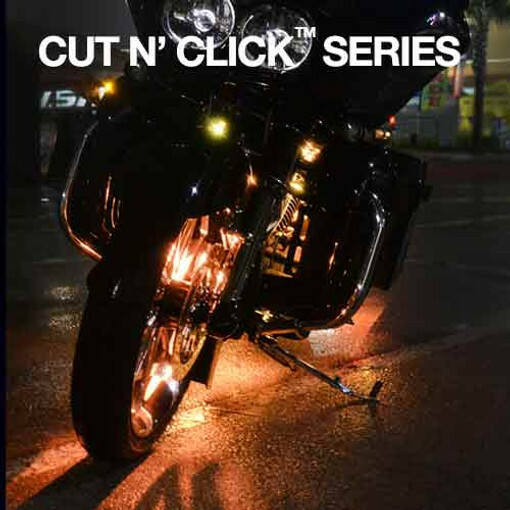 Our Cut-N-Click™ LED Lights are truly in a class of their own because of their ease of installation and original-owner lifetime warranty. 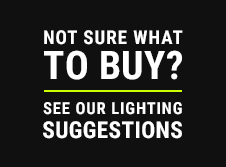 This is why they are the professional's choice for LED motorcycle accent lighting. Simply cut the strips to achieve the perfect fit and connect to power using the cut segment's on-board connector. You can run power from one strip to the next using our thin connection wires thereby minimizing clutter under the seat. If you need to remove your tank for service, unplug the power wire at the LED strip. This unique modular design makes installation and service a breeze. Regardless of competitors’ claims to offer more for less, our Cut N’ Click™ flexible LED strips outclass all varieties of surface mount, 3mm, and 5mm flexible LED strips on the market. Unlike others who offer the cheapest products available from China, we pay more to source the best LEDs the market has to offer. If a product’s price seems too good to be true, it probably is. All Boogey Lights® kits are designed, assembled and supported in the USA!.